I hope everyone had a fabulous Halloween! I spent mine thoroughly “stoned” (with kidney stones, that is), though despite being doubled over in pain it was still a very special day (thank you, CP!). 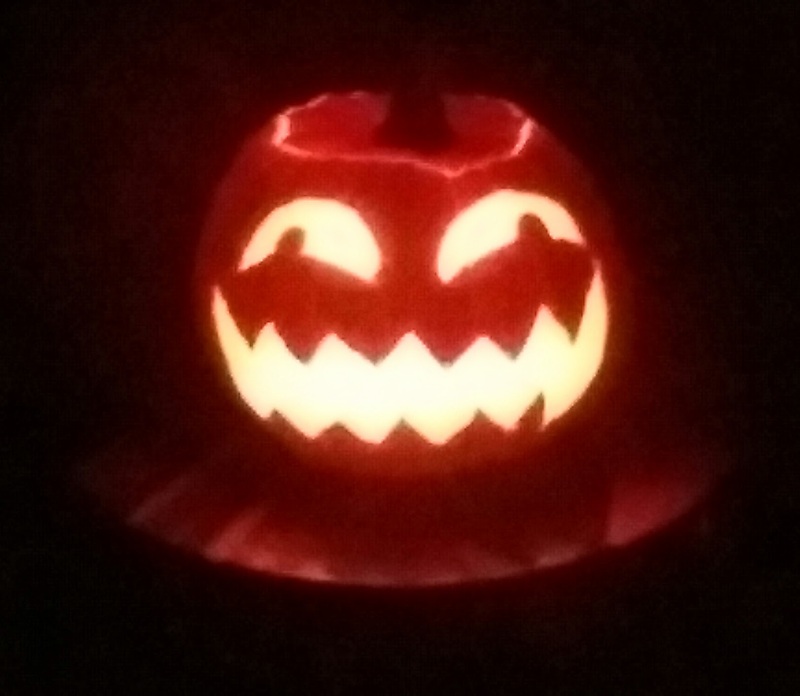 And a walleyed jack o’lantern named Gruber. Although I’ll get back to posting some regular SWS material, I adore Spooky Moon’s idea to prolong the Halloween spirit with HALLOWVEMBER! Who says Halloween has to end on the 31st? Rubbish! You may see some ghostly posts pop up here. What did you guys do for Halloween? 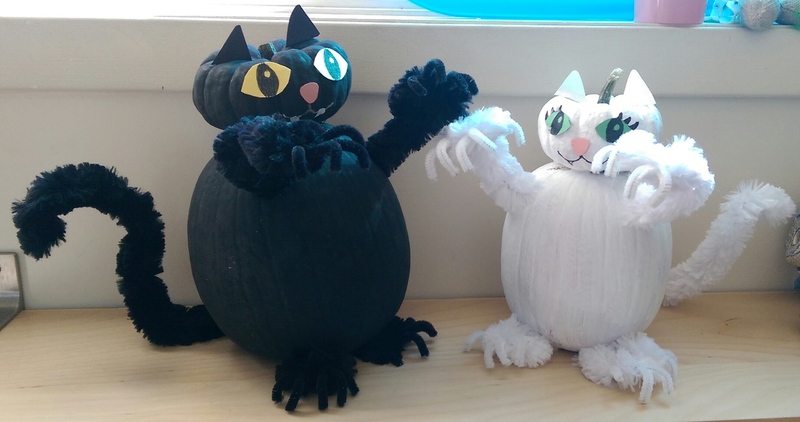 This entry was posted on November 1, 2015 at 9:29 pm and is filed under cats, craft, halloween with tags cats, craft, halloween. You can follow any responses to this entry through the RSS 2.0 feed. You can leave a response, or trackback from your own site. I finished my halloween sculpture , but did not have time to paint it. I’m still trying to decide on color choices. I listened to the sound track to Nightmare Before Christmas as I worked. It was pretty cool! I hope you still plan to finish it in the coming days! Those cats have some serious claws on ’em. I don’t know how you sleep at night! That’s an artistic representation of what their claws feel like with 4am surprise play-pounces. I now shut my door when I sleep and let them run wild in the rest of the house.